Jake New is a journalist and writing consultant living in Washington, DC, where he is a senior writer at Whiteboard Advisors. He has written about education for nearly a decade. Prior to Whiteboard, he covered student life and college athletics for Inside Higher Ed, where his reporting frequently focused on discrimination, sexual violence, race, student activism, low-income and first generation students, mental health, and the NCAA. He chronicled how the Obama administration and student activists brought unprecedented attention to the issue of campus sexual assault and how colleges struggled to keep up with the pace of change. He was the first to report that the president of Baylor University would be resigning over his administration’s handling of sexual assault complaints, the first to tell the full story behind the University of Idaho’s decision to leave big-time college football, and the first to reveal that the National Labor Relations Board’s general counsel had decided that football players at private colleges should be considered employees. His work has also appeared in the Chronicle of Higher Education, Teen Vogue, the New York Times, the Washington Post, Slate, PBS Newshour, the Hechinger Report, EdSurge, the Baltimore Sun, HuffPo, The 74, the Hill, Forbes, Times Higher Education, eSchool News, Indianapolis Monthly, and the Bloomington Herald-Times. In 2017, he served as interim publications fellow at the Student Press Law Center. 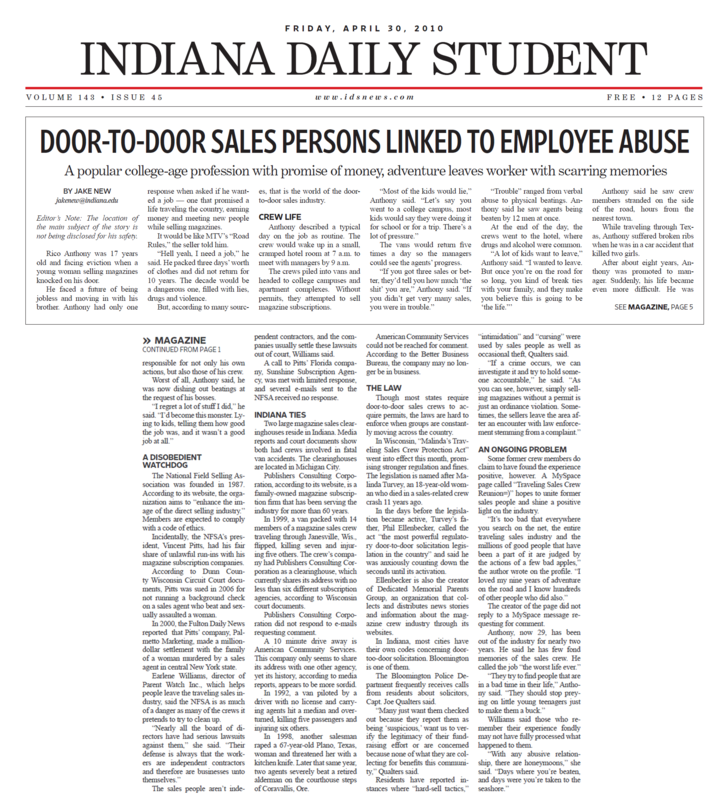 While studying journalism at Indiana University, he filled many roles at the Indiana Daily Student, including editor-in-chief. His reporting has won a third place Society of Professional Journalists Mark of Excellence Award in the category of In-Depth Reporting and a first place Indiana Collegiate Press Association award in the category of Best News Feature Reporting. As a student journalist, he was a finalist in the Keating Feature Writing Competition. In 2013, he was awarded the Chronicle of Higher Education’s David W. Miller Award for Young Journalists for his work reporting on education and technology.